John Martin: English spirit and Belgian brewing expertise since 1909! In the early 20th century, the Englishman John Martin left his native land and settled in Antwerp, where he founded the company that now still bears his name. He decided to import beer directly from England in oak barrels. His first product on the Belgian market was Martin's Real Ale, followed by Martin's IPA and then Martin's Pale Ale. Now, just over 100 years later, the brewery's range offers again these 3 special beers, brewed according to the finest English tradition. 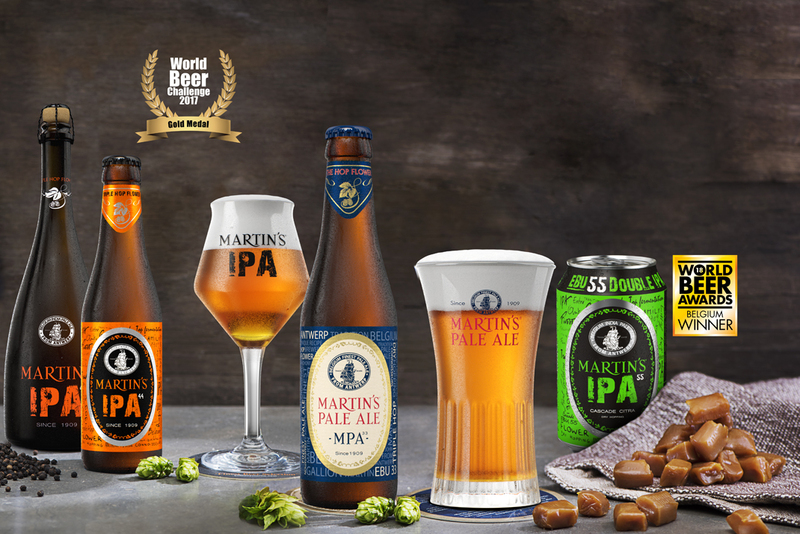 Martin's brewery has developed under the leadership of the founder's grandson, Anthony, and it is the only brewery in Belgium that offers such a typically British range of pale ale.